Centro Medico Paitilla (CMP), founded on July 15th, 1975, is one of the most recognized private hospitals in Panama. It is strategically located in the center of the city and a few meters away from important hotel chains. This year, in its 40th Anniversary, it takes pride on the objectives achieved and of a track record of constant technological updating, which maintains it at the forefront in the health field. The prestigious medical body of the Centro Medico Paitilla, covers the most complete range of diagnostic, therapeutic and medical specialties. Around 350 external consulting clinics are concentrated in two adjoining buildings to the hospital, representing a great advantage for the patients. The 3D Digital Mammography Device with Tomosynthesis, the first in Panama and Central America, which represents an invaluable support to the early diagnostic of breast cancer. In the Paitilla Oncology Center, the service of External Radiation Therapy with Linear Electron Accelerator and capability for 3-Dimensional Conformal Radiation Therapy, operated by a select group of specialists, highly trained in prestigious Oncology Centers in the United States, Spain, Mexico and Brazil. Its renovated Gastrointestinal and Broncho-Pulmonary Endoscopy Services, made up of four large examination rooms, equipped with the most modern facilities of video endoscopy, high resolution esophageal manometry, intestinal tractography with colonic and esophagus-gastro-intestinal video capsule. In its final stage of installation, the most recent and important acquisition, the advanced and revolutionary Philips Ingenia 3.0 Tesla MRI System, with state-of-the-art technology, and constituted as the first and only one in its category available in Panama. 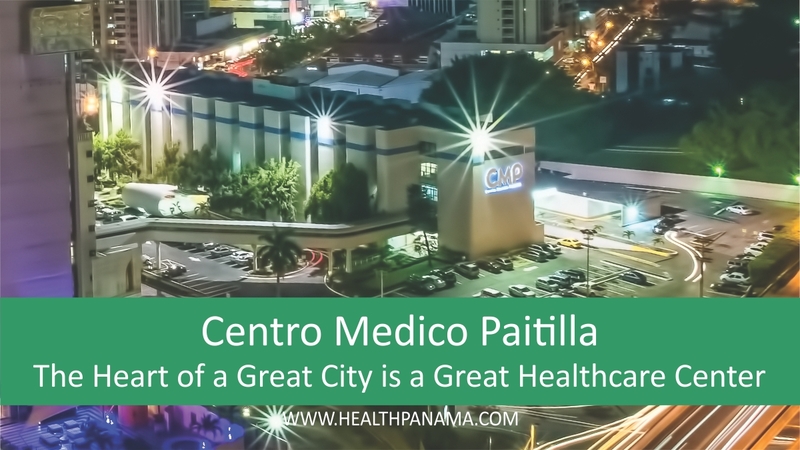 As part of its strategic plan, the Centro Medico Paitilla has incorporated the Patient Experience Management Department, focused exclusively in guaranteeing the patient and patient’s family members, a comfortable, cozy and friendly experience. This new concept of “Patient Experience”, which originated in the United States, is based on a philosophy of service and personalized attention, with human warmth, giving priority to the physical well-being of the patient, as well as the patient’s cultural preferences and emotional and spiritual needs. Celebrating its 40th Anniversary, the Centro Medico Paitilla reaffirms its commitment to integral renovation, with important projects directed to the technology area, diagnostic as well as therapeutic, and the modernization of its physical installations, which will include the expansion and remodeling of the emergency services, clinical laboratory and blood bank.